S.T.E.P.S – UP was a project created to provide training for teachers who were not specialized in the area of teaching English to young learners in primary schools in the city of Porto, Portugal. It provided varied and constant support through teacher training in real and virtual environments. It encouraged English language teachers to engage in Content and Language Integrated Learning in collaboration with generalist teachers in primary schools, and in doing so developed a spirit of collaboration within the wider school context. In 2005 the Portuguese government announced that all primary schools should offer English language lessons as an optional extra-curricular subject. However, there was not an appropriately qualified workforce readily available to cope with this demand. At that time, the Department of Anglo-American Studies of the Faculty of Arts and Humanities of the University of Porto was invited by the city council of Porto to recruit and coordinate English language teachers in primary schools across the city. It was in this climate that STEPS – UP or Support of Teaching English in Primary Schools was set up. • To develop a shared understanding within the school community that the English language can enrich other curricular areas. combat the feelings and sense of isolation that some teachers experienced in their schools because they were considered visiting teachers and not part of the teaching staff. This was partly due to the timetabling of English language lessons – at the end of the school day when the majority of permanent staff had gone home. So through its varied support mechanisms STEPS teachers became a self-supporting community regularly sharing ideas, experiences and teaching materials. STEPS also tried to extend the spirit of collaboration to the wider teaching community of primary schools in the city of Porto. It did this by encouraging primary English language teachers to experiment and engage in small-scale Content and Language Integrated Learning (CLIL) projects in consultation or in collaboration with primary generalist teachers. It was hoped that this would make teaching and learning more relevant and meaningful; improve collaboration within schools so the school community became aware of the positive contribution English language lessons could make, and raise the profile and status of the primary English language teachers. Engaging in CLIL projects was an important means of fostering a sense of responsibility in the STEPS teachers – a responsibility to educate the whole child in an educational context which is essentially integrationist. Teachers were encouraged to reflect on how they could provide more added value to their lessons if they considered incorporating content and techniques from other areas of the curriculum. The primary English language teachers were encouraged to take the initiative when it came to constructing CLIL in their contexts. They had to actively find ways of meeting the generalists and deciding what content of the primary curriculum could be introduced, reinforced or consolidated in the English language lessons. This liaison was a very important means of making the school community aware of the contribution English can make to enriching the curriculum. It was important that this was seen as a two-way exchange of ideas so both teachers could benefit. NOTE: Schools were obliged by the government to offer English language classes. This is still the case today. These figures are an indication of the scale of the project and the demands made on it in terms of recruiting and supporting teachers. Teachers were evaluated at the end of the academic year for the purposes of future recruitment. There was a considerable amount of mobility of teachers into and out of the project owing to more attractive timetables (and therefore better payment) with other city halls or the recruitment/allocation of teachers to other sectors of compulsory education. This was by far the worse aspect of the project and one that is experienced routinely across the country. 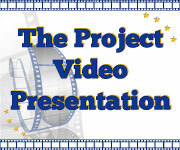 primary English language teachers as well as other teachers of extra-curricular subjects (art and crafts, sport, IT) the opportunity to show the rest of the school community (other teachers, parents) what children had done/achieved during the academic year. In the academic year 2008 – 2009 small-scale research into the primary English language teachers’ experiments with CLIL methodology was carried out. The reflections of the teachers provided valuable insights into the challenges EFL teachers face in terms of collaboration within their school contexts, adaptation of their pedagogy to include a more explicit focus on the content of the primary curriculum, and benefits to them and their students. In the penultimate year of the project, a Masters degree in teaching foreign languages was set up at the Faculty of Arts and Humanities of the University of Porto. Students and student-teachers from this master’s degree course became part of the project and gained practical experience in the primary schools. The experienced gained from the pedagogic coordination of the project impacted directly on the content of the didactics course of this degree. STEPS – UP is transferrable to any sector and level of education at local or national level where there is a need to support teachers. Given the scope of the project in terms of the number of teachers, children and schools involved, its impact had the potential to be far-reaching. We believe that during its five years, STEPS-UP provided teachers, many of whom did not have the methodological training for teaching young learners in primary schools, with appropriate pedagogical and psychological support through its various mechanisms. This contributed to a healthy professional environment. This, by and large, impacted positively on the school communities (children, teachers and parents) by providing quality and cohesion within and between schools in the city. Information about the project and the research conducted within it has been disseminated at national and international conferences and in published articles. 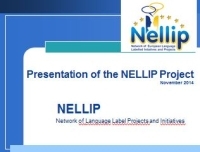 It was decided that the STEPS-UP project should be submitted for the ELL as we believed that the recognition and exposure that the label would provide could lead to the project being used as a model in other contexts in Portugal and abroad. It would also be highly positive for the image of our institution. The former expectation was not met owing in part to the fact that STEPS-UP ended in 2009. Further conference presentations, publications and contact with other educational institutions. Benefits having received the ELL: recognition and further exposure; improved confidence in the project initiative; interest from international contacts; more opportunities to be involved in further projects at international level. A pilot project to begin in 2013 to introduce ‘higher STEPS’ at tertiary level with the aim of developing multilingual degree courses within the University of Porto. Advice on how to plan and develop quality language learning initiatives: the project should be easily transferrable; measurable - provide opportunities for collecting data (both quantitative and qualitative); have high visibility and exposure through a variety of sources. examples of the project in practice); attend and present papers at conferences where there are opportunities for networking; publish articles. Message: I totally agree with the previous comment. In Spain all high schools are becoming bilingual centres, so to involve and support students/children from early ages into the English environment would contribute to their learning. Good project to make it real in Spanish schools. Message: We think that this project could be done in Spain, because the problem with the English extracurricular activities are no related with the curricular subjects. Whit this project, pupils can aply the extracurricular Knowledge to their dayly learning at school.